One of the most important elements of a pressure washer system is the tank storage. The portable storage tanks that are of high polyethylene plastic come in varying sizes according to your needs and are essential in your pressure washing business. The car wash equipment also use the large tank storage. These portable tanks work well for your power washer needs whether industrial, commercial or residential. Choosing the right model that will work for your personal needs or business needs can be easy when your purchase your portable storage tank along with your power pressure washer. 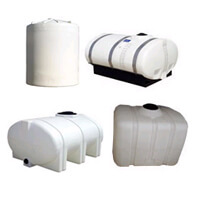 These tank storages can be mounted on trucks or trailers and are considered heavy duty. Consider the size and the number of jobs you will perform when you make a decision to purchase the static water tank. The capacity of a portable tank ranges from 15 gallons to 300 gallons. You may consider the smaller elliptical tank when you are using the pressure washer for home use only and for small jobs such as gutter washing, siding washing, and driveway washing. The larger the capacity is, the less work. You will realize that you can get a small job completed a lot faster if you use the large capacity portable tanks. The price ranges vary according to the size you choose. Take special care to the carrying weight while traveling to worksites and also how the water and pressure is drawn from a static water tank. You will definitely want to make the right choice so that a replacement or larger capacity is not needed after a few months. Being very sturdy, the portable tank storage has a long life. There is no special care, but careful handling when installing will help to avoid any unusual mishaps that can delay jobs or prevent sales. When ordering via the Internet, make sure that you add comments or specifications that you require to be made to the tank. These tanks are also easy to mount on either your vehicle or a trailer. The cost for the portable tanks is reasonable for the great service they provide. You can count on these tank storages to meet your everyday needs for your business. The labor time saved outweighs the cost of these tanks. The sleek smooth style keeps easy deep gouges or cuts that can harm the tank storage at a minimum. It is definitely a piece of equipment that is dependable and reliable for the long length of service that it provides. Make an informed decision on the proper size and fit for portable tanks for your fleet vehicles that can earn a lot more money for your business. The ease of fitting the sleek elliptical tank to your vehicle or trailer allows the owner great flexibility on the use of the tanks and the jobs they want to complete. More than one tank can be installed on the trailer or vehicle and more jobs can be completed to add more money into your business. Understand the concept of storage tank washing and cleaning from various deposits. How to eliminate dirt from silos with pressure washing, silos pressure cleaning and maintenance.